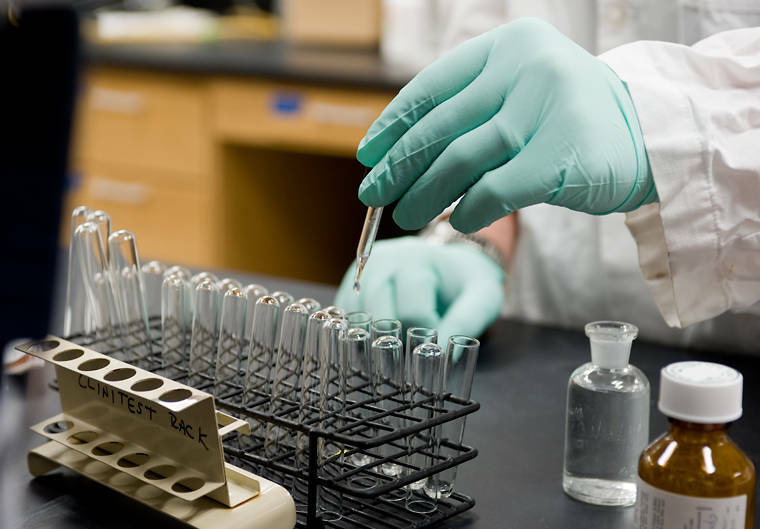 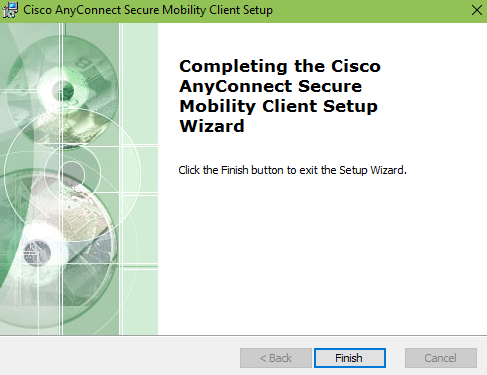 You will need to be on campus connected to either WSU Wireless or a wired Ethernet connection to access Chem-Diamond3. 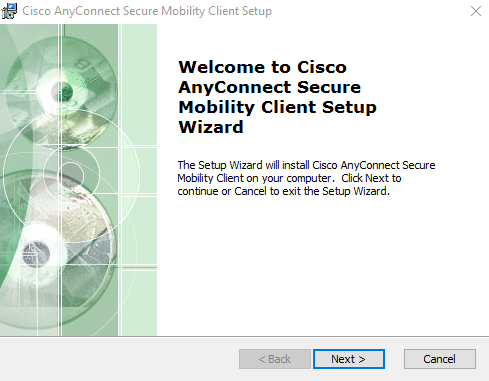 If you’re off campus, you may go directly to Cisco’s website OR sslvpn.wsu.edu to download the client AND skip to step 4. 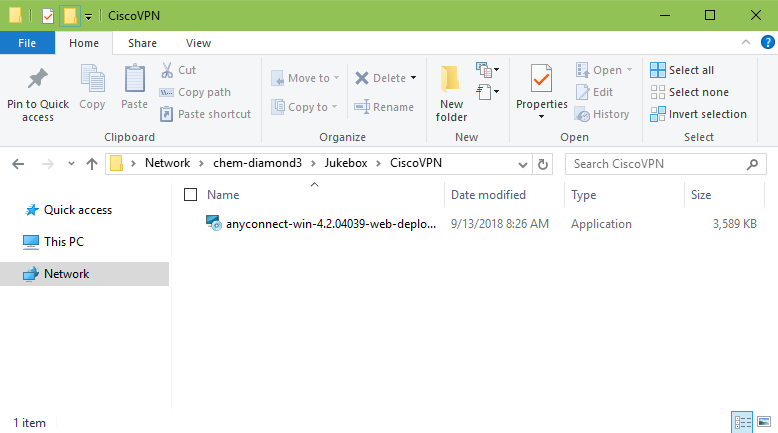 Navigate to the CiscoVPN folder. 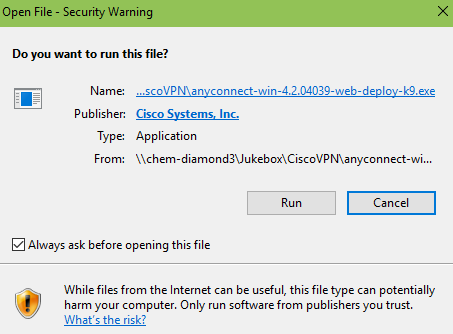 Double-Click the anyconnect-win-4.2.04039-web-deploy-k9.exe file to open the installer and click Run. 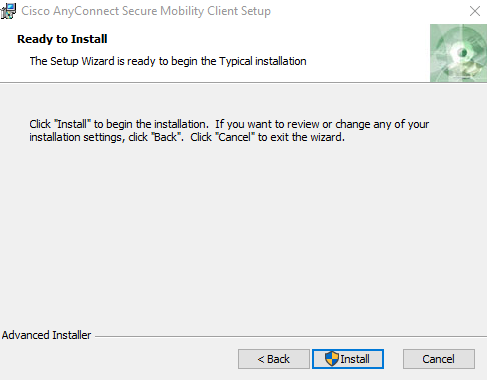 At this point the program is installed and you should be able to connect to the VPN by using sslvpn.wsu.edu and your WSU Network ID.